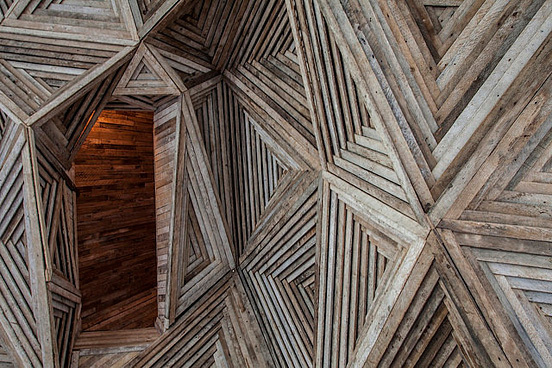 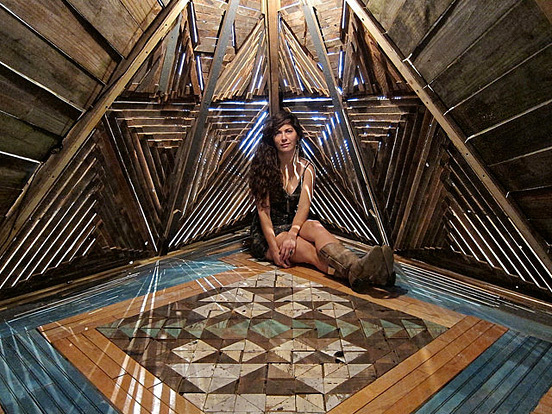 Serra Victoria Bothwell Fels creates wooden installations inspired by the geometric arrangements of crystal formations. 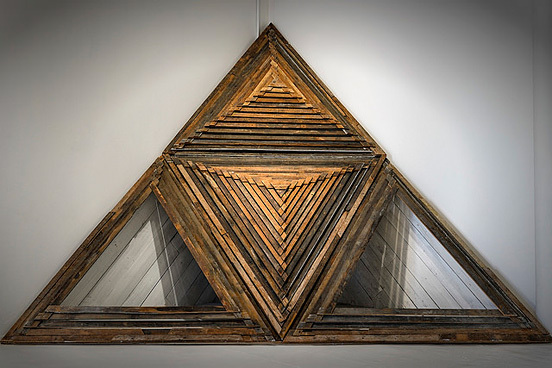 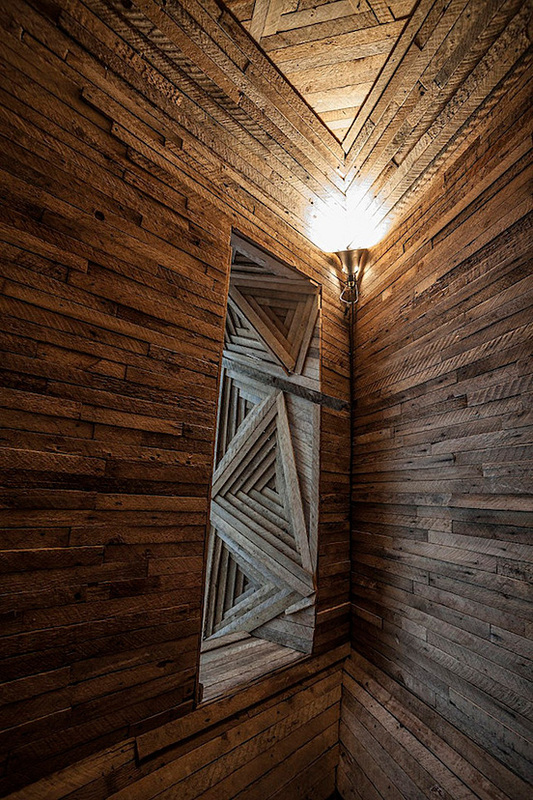 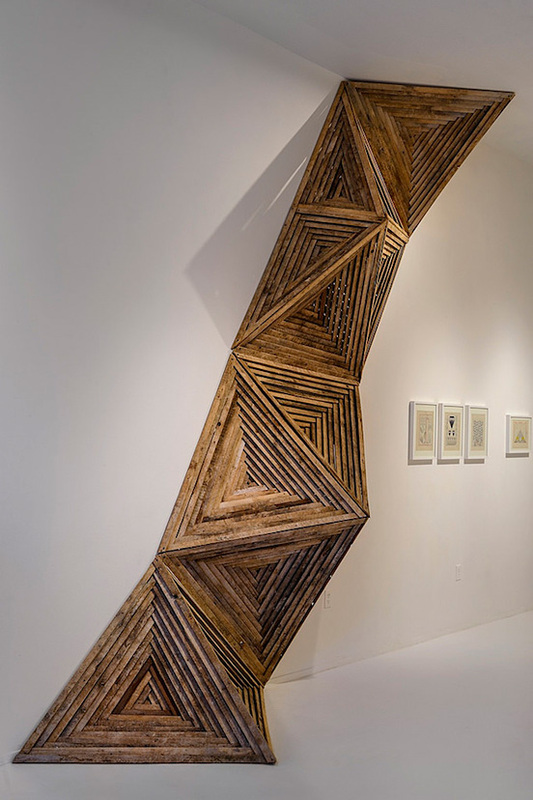 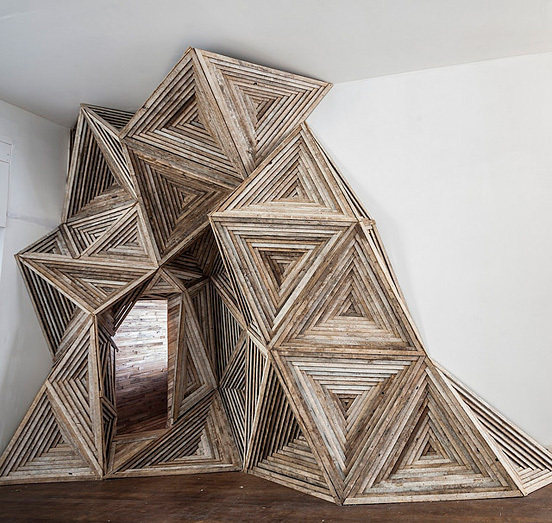 The artist stacks thin pieces of wood into tessellating triangular shapes, using them to create hive-like structures that viewers can enter. 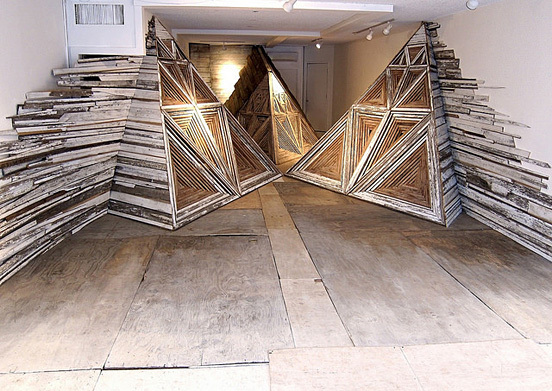 Felsâ€™s installations are based on her elaborate blueprints, which she displays as artworks in their own right. 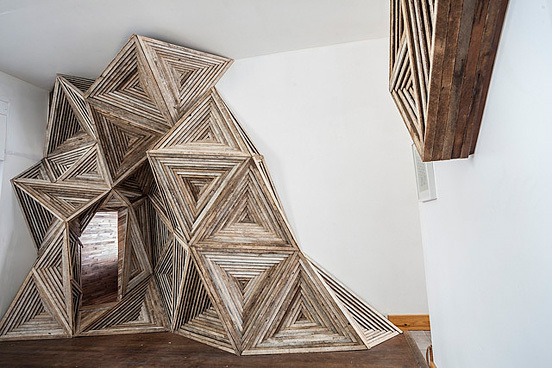 The wood she uses is sourced from discarded construction materials. 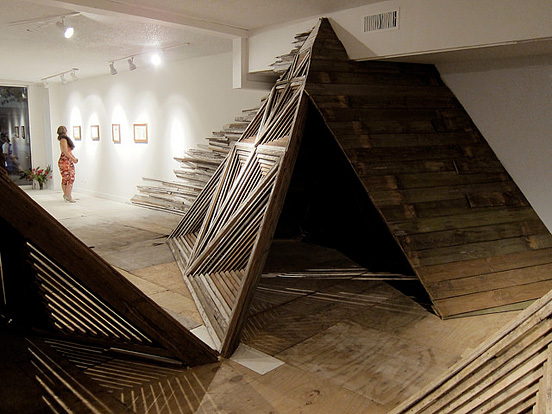 Functional and visually appealing, her works evoke makeshift shelters that viewers can temporarily inhabit.